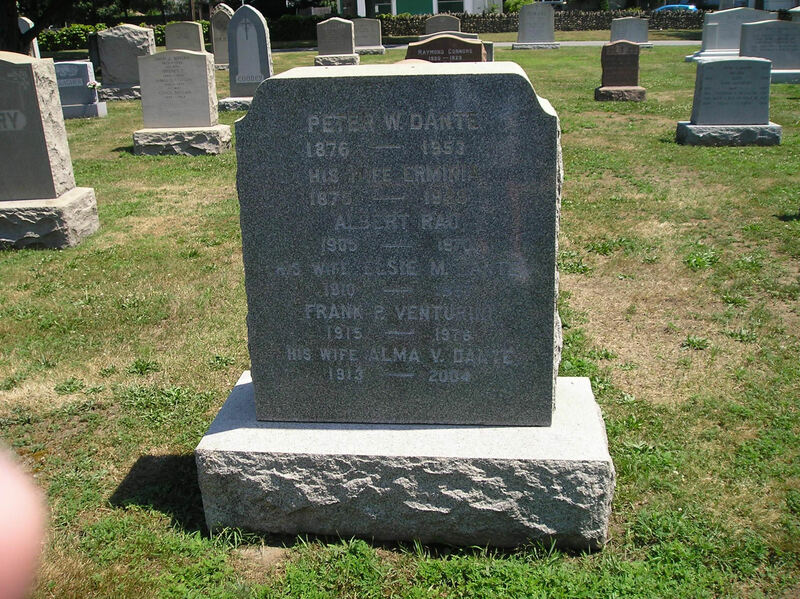 Elsie Dante was the daughter of Pietro Dante and Ermenia Quilietti. 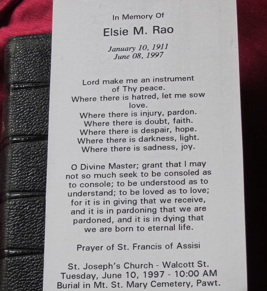 Elsie was born in the year 1910 at 82 Prairie Avnue, Pawtucket, Rhode Island, and she was the eldest of the two natural daughers of the marriage. Both herself and her sister Alma had been brought up with the belief that they had an elder sister but in later life they were told that this sister was in fact their cousin. This sister was Ella or Ellen as we believe she was known to the family. When their mother Ermenia Quilietti died in the year 1929 it was decided that Elsie would leave her education and step into her mother’s shoes keeping house for her father Pietro and looking after her younger sister Alma. 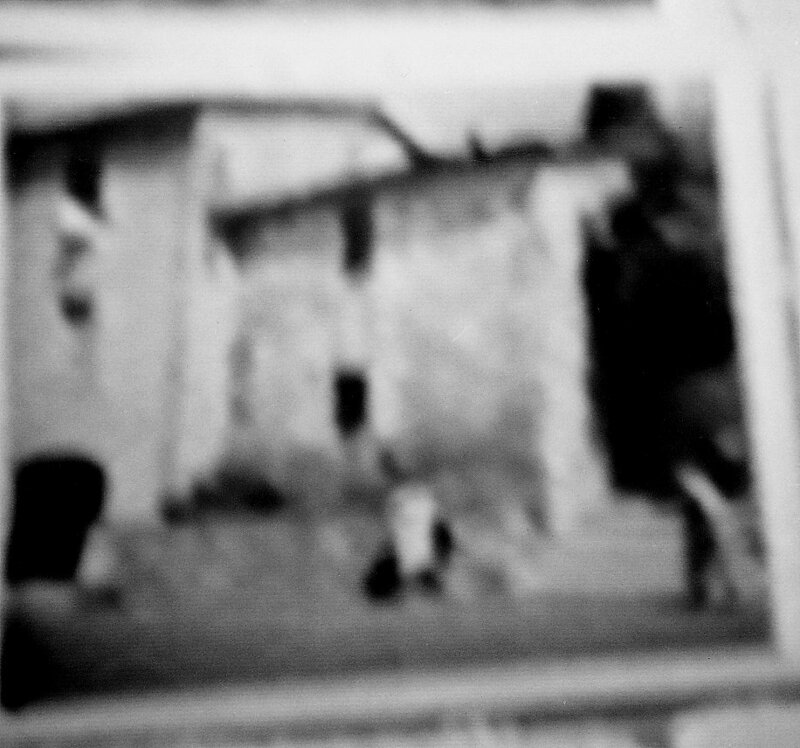 The house was large and we are led to believe that the upper flats were regularly rented out to supplement the family income during the years of the depression. So this housekeeper’s roll would not have been an easy option for young Elsie. She married an Italian immigrant by the name of Albert Rao who was born in the year 1905. 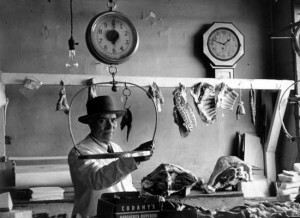 His family came from the Naples region of Italy. He was very much involved in the horseracing business which took him all over the U.S.A. Albert was also in the American Army during the Second World War and like so many of the Italian immigrants who had left for America he also served in Italy during the War. Their wedding was a lavish affair and the photographs we have documented in a video taken in 1992. Elsie recalls a story told to her by her uncle Giuseppe about her grandmother and Polenta. She said “all the kids were starvin, all hungry you know. So my grandmother was around, cooking with a big stick, you know, stirring the polenta. The kids over there they were hungry, starvin you know and they are all around her. ‘GET OUTA HERE’ and boom [as she belts the stick across the shoulder of one of the kids]. He was lickin’ the polenta from off his shoulders he was so hungry. She repeated how hungry all the kids were and when they were very young, that there was no work and no money. Elsie continued chatting about her family. Mary Domenica, she was the youngest, she was very short you know, not very tall. Elsie then goes on to recall about her paternal grandmother Annie Brucciani and her grandfather Francesco Dante. 338 North Main Street, it was an old shack. I didn’t like it, it stank of mould, didn’t it [asking sister Alma who nodded in agreement]. It wasn’t that big but there was a tenement at the back and it wasn’t very nice at all. I don’t know how they stayed there all those years. Elsie then recalls her own teenage years when she worked at the silk mill in Pawtucket. She was 14-17 years at the time before her mother took ill and she had to take over the responsibilities. 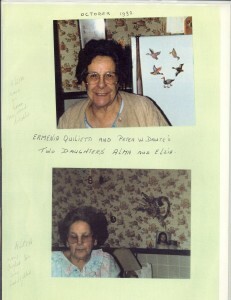 Elsie then recalls her own friend Rita who came from Sicily. She would talk a few phrases of Italian to her friend. Rita would answer her in American because the Sicilian language was so vastly different from the Tuscan she had learned from her Maw and Paw. But she recalls that they had a lot of fun translating with each other. Elsie and Albert never had any children. He died in the year 1970. After his death the Elsie returned to live with her sister at the family home, but she stayed in the upstairs flat. It was here that the two sisters remained until their respective deaths, Alma in 1998 and Elsie in 2004. There is a family plot in Mount St. Mary’s Cemetery in the town. Peter, Ermenia, Elsie, Albert, Frank and Alma all share the same resting place.